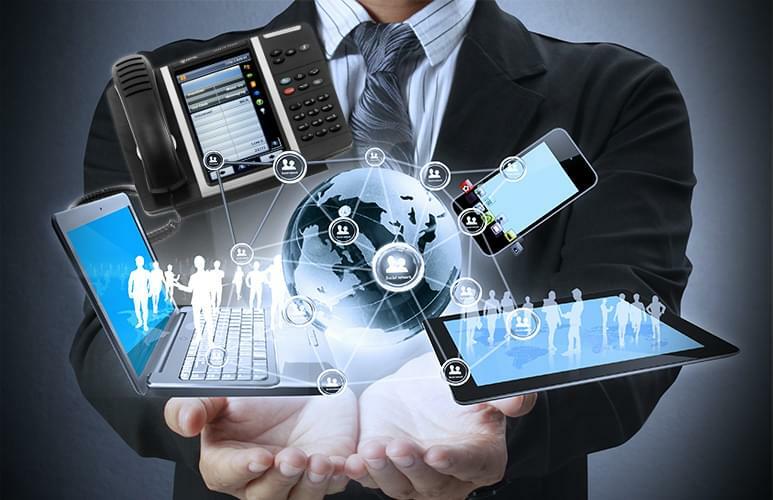 Unified Communications is quickly taking over most offices, and for good reason. Ignoring just the benefits of UC, we also know that by 2020 or so we will see the current Public Switched Telephone Network shut down, in favor of IP communications. And we’ve already seen almost the majority of businesses, both small teams and Enterprise companies, adopt this new standard of communication. With a pretty extensive list of compelling reasons to transition from the standard legacy phone network to IP and Unified Communications, its almost a no brainer. Yet, for those that are still relying on legacy communications, transitioning to UC can be a bit of a hurdle — despite all the benefits on the other side of the ocean. Without even the faintest idea of where to begin the transition, many might find themselves in an overwhelming situation, and might even land themselves tied into service they might not want or need. But the transition doesn’t need to be that scary, just understanding some basic principles can help move the process along without any bumps in the road. Without going into too much detail, the best place to start is to first understand why your team should consider switching to Cloud Based IP and Unified Communications. Of course one of the flashiest benefits of VoIP and UC comes down to the cost savings. Now this can vary from provider to provider, and business to business, but generally Cloud based UC solutions are able to provide far more than legacy solutions, at a fraction of the cost. 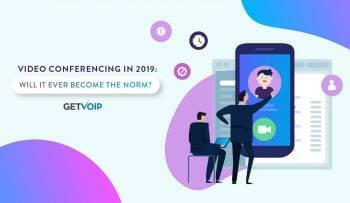 Simply because of the nature of IP, powered by the SIP protocol, the same connection that is used for voice calls can also be used for video, or messaging, or web conferencing. It would be too long to list them all, but you get the picture. UC solutions just bring far more to the table than a basic legacy PSTN solution can. Instead of just phone, you get an entire Unified Communications solution. The best way to move through any transition is to apply a method to the madness. Without a doubt it can be a confusing time, everyone at the office will need to be on the same page to understand what is changing, when they might be without service, and how the new system will change the way they work everyday. Utilized properly, a fully functioning UC solution can help boost your team’s productivity, with the right tools to get the job done even easier. But if you end up with a system no one wants, or even understands how to use, what’s the point? So, beginning with at least a shaky foundation with help influence and direct the decisions you make. Getting organized is always one of the best steps to being any project, let alone an undertaking like transforming your team’s entire phone communication solution. But, getting organized itself comprises of a few steps, and a few crucial aspects that need to be addressed. Essentially, your team should take the time to inventory everything your business currently relies upon to operate on a daily basis, as well as the challenges your team, or teams, face. The first step to the entire process is to of course understand what you currently have. Take the time to profile your entire existing communications setup, as well as some basic information about your teams. From here, you can begin to shape an idea of how your business is currently operating and what the logistical needs might be. For example, with an idea of how many locations and users your business has, your team can carry out an information decision and differentiate possible providers and contracts to consider based on size alone. Understanding the solutions and tools your team is currently using will help steer the decision towards a familiar solution. Now, this shouldn’t be just a shallow list of how many computers your team has. Instead, profiling your existing communications solution should probe deeper into the inner workings of your business. At the end of the day, the transformation will be more than just a new communication system — it will be an entirely new paradigm for how your business collaborates and works. When it comes to network usage, your business should assess the current network usage and performance both in slow periods, and peak work hours when its absolute crunch time. This will allow your business to fully understand what it will need to power the network. Since IP communications relies on your internet connection, this is a quick way to ruin the experience. So you want to test not just one phone call, but what your network might look like if you had to make 500 phone calls at the exat same time. This principal should apply to all aspects — when asking around for the existing collaboration tools your team uses, it might be far too time consuming to interview every single end-user, but you can interview team leads that know the solutions the entire team needs to use — which helps brings us to the next step. But going even further, depending on how your business operates, this could vary wildly based on size. If your business is a small 5 man team, then the structure is almost handled for you. But if your business is an Enterprise with 5,000 seats, surely there is already a team structure in place. While not the most crucial step, organizing the structure of your teams, and designating different leads for these teams, will allow decision makers to prioritize different wants and needs. From here your team can prioritize different levels of service, different features, different product offerings and overall solutions and providers. For example — do all of your business’ teams rely on video conferencing for collaboration, or has team messaging completely replaced email for all internal communications? Are the developers using one from of task and project management, while the marketing team is using another? Unified Communications are called that, because they are unified. Introducing a solution that doesn’t unify the entire business isn’t getting the most out of the solution. Taking the time to collect the information you need to know to make a decision will help find the right solution the first time around. After formulating a rough outline and foundation for what communications look like now, and what the business hopes they will look like after the transition, we can move to arguably the worst part of the process. Shopping for a provider isn’t exciting or fun, and nor is it very simple. With so many options out there, and not that much differentiation between features and services offered, the task of selecting a provider proves to be tricky. After all, that’s why GetVoIP exists. 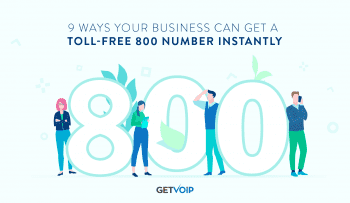 But instead of telling readers to just take a look at our Business VoIP provider breakdown, which will be helpful, I wanted to include some information to help reach an independent decision. With so many providers offering roughly the same product, just at different prices with different limitations, you can’t always simply compare the included features. Instead, there’s a bit more that factors into the equation. So as I already explained, the features, services, products, however you want to refer to the bread and butter of what you are buying, will not differ very drastically between providers. Overall, especially if focused specifically on Cloud or Hosted PBX providers, more often than not offerings seem to be identical. However, this doesn’t mean you should glance over the lists and expect to have everything you need. A large number of providers base their software off the same origin, but then built around it different and decide to focus their efforts in different places. One provider might have a strong focus on Video collaboration and include the service for free in all plans, meanwhile another might have a killer team messaging and collaboration app they include with all plans. This is where discovering your priorities and team needs comes in — it will help focus your decision to a provider that shares these priorities. I just touched on this slightly, but its worth explaining on its own as well. Generally, providers will break down their service to different pricing plans, or tiers. The most common differentiator in plans is generally the number of seats available, with plans ranging from SMB 1-20, or 50, and the high level Enterprise with 1,000+ seats. One of the most crucial measures by which to rate a provider is the support and service they provide. At the end of the day, we never want our phone service to go down, and most providers are capable of 99% up time. The issue isn’t whether or not service will go down, the issue is how the provider reacts and helps out when problems do arise, because we don’t live in a perfect world and problems will arise. Some providers, like RingCentral, will make it easy to contact support, and will offer 24/7 support for free, others will have different support packages users can purchase for more money, some may even provide a dedicated representative for large contracts. Another important distinction to make is if the support is US based, or outsourced. Some providers will also include self-service options like forums, online databases and even video guides. Support is helpful when everything goes down — but what about keeping the network running as long as possible? I mentioned above most providers will promise at least 99% uptime. Sometimes you’ll even see providers reach towards 99.999% guaranteed uptime. While these numbers don’t tell the whole story, what’s more important is the network underlying the service that allow for such impressive uptime. Not every provider makes this information easy to find, but those that do make it clear help provide some peace of mind. In general, providers will run connections and services out of Data Centers, and the general rule of thumb is redundancy – multiple data centers means that if one goes out, the information and connections can simply be routed to another. Some providers will offer redundancy in the same location, so maybe two centers on the East coast. Most will offer data centers in every nation they offer service — so its worth checking out to see how capable, and redundant a provider’s network is. One step further, if you really want to ensure your service doesn’t go out beyond a small acceptable standard, some providers will engage in Service Level Agreements. In general, its good practice to engage in an SLA with your provider to protect your investment, and ensure that any hiccups are handled without any payment issues, extra fees, or introducing an annoying headache trying to get things sorted. On top of this, most providers will express their compliance with federal laws, such as HIPAA regulations for the health care industry. If this service is for an out-bound call center, regulation compliance is particularly crucial. Many have probably heard the term API, and even integrations, but don’t know how the two relate. That’s not uncommon, as API itself is a complex topic. But, APIs are quickly becoming the most important acronym of 2017. The idea of integrations is simply connecting two different applications, so you can access your Salesforce information without ever leaving your VoIP or UC app. Generally, this is a case of more is better – but its also important to find a provider that offers integrations with the other tools you currently use. Just another reason you should find out what your team is already doing, and using. Depending on how your business operates, the number of locations, and network configuration your business might decide a fully hosted solution isn’t for them. 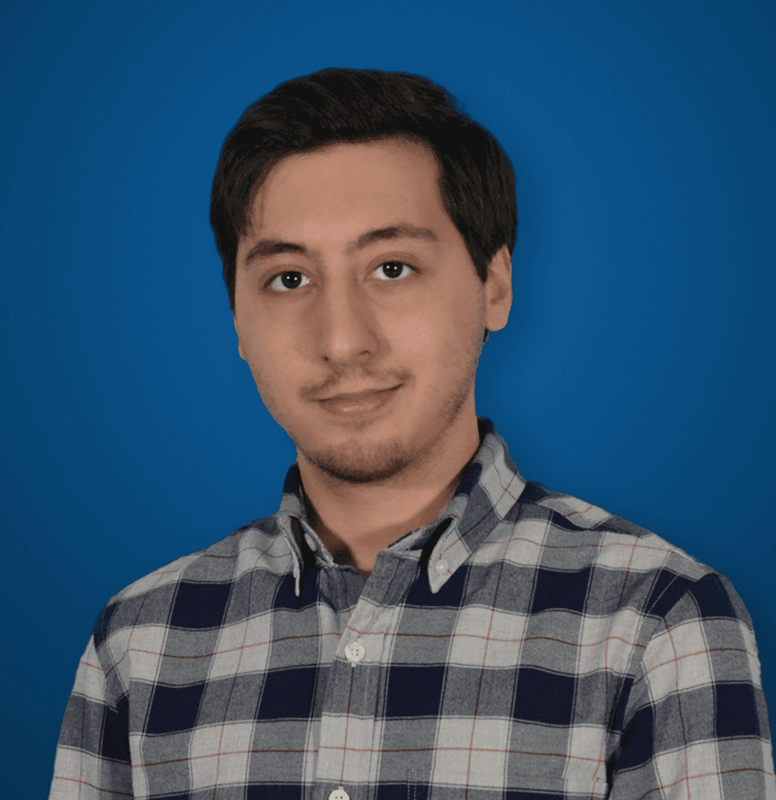 Or, for the large scale Enterprise, it might make most sense to setup with SIP trunking in the HQ, and then utilize Hosted PBX connections at smaller locations, feeding off the central SIP connection – a type of hybrid solution. Not all providers are capable of offering the same trunking options, or even setup configurations. Some providers re SMB cloud only focused, while others focus more on the on-premises Enterprise market. So you’ve profiled your existing network, you’ve tested your internet connection and infrastructure, you surveyed teams and end users to understand exactly what it is you need, and you even went through the process of narrowing down your potential list of providers to 2 or 3. Great, at this point you’re even closer to reaching a decision and transforming your business communications. But if two competitors are so closely matched in what they can offer, that price doesn’t even come in as a factor, there’s not much else to do than go for a test drive. The whole idea can be compared to purchasing a car — most cars in the same segment will offer the same features, a competitive warranty, the same size. If looks and price aren’t enough to push you over the edge, then you need a test drive — you have to see what it will be like to use and live with the vehicle. And only on this test drive do potential shoppers understand what works and what doesn’t. Paper comparisons can only help so much. UC can be thought of in the same way — providers offer similar features, functions, service levels, customer service and even pricing. But using the system is how you will know if it works for you and your team. Maybe, after a month, it turns out that no one has even touched online faxing, or business SMS texting, so why waste the extra cash? Most providers offer a money back guarantee, or at least a 30 day trial, and we encourage everyone to take advantage of these periods. Test the system, let users play around and find what works best, even stress test the system to see how it handles peak moments or panic situations.